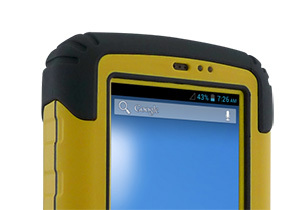 Winmate's S430M4 rugged handheld PDA integrates the latest Android 4.2 operating system, along with increased processing power and storage to streamline workflow efficiencies. What is new in S430M4 ? The new S430M4 maintains the same popular form factor as the first-generation model, but is now faster and more powerful with an upgraded 1.5 GHz quad-core Cortex A7 processor, and increased RAM memory and storage (1GB SDRAM and16GB eMMC). 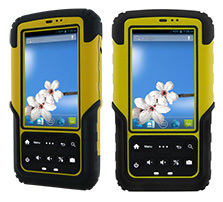 The integrated WiFi has been upgraded to 802.11 a/b/g/n for maximum wireless voice and data speed and flexibility. Most importantly, the new S430M4 now operates on Android's latest 4.2 operating system, which offers full quad-core support as well as numerous technical and user interface improvements. The S430M4 combines state-of-the-art handheld technology with a modern look and feel, while maintaining ultra rugged durability. Building on the overall design of the S430 series, this new model is now compatible with embedded peripherals including barcode and RFID readers, all in one device. The S430M4 also includes an 8-megapixel rear documentation camera with illumination LED. No stone was left unturned in considering the device's ruggedness factor. 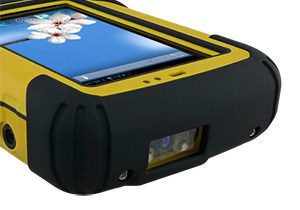 The S430M4, built for use in harsh environments, is sealed to IP67, protecting it from water and dust, and durable enough to withstand 4-foot drops, shock, vibration, and extreme temperatures ranging form -20 to 60 degrees.